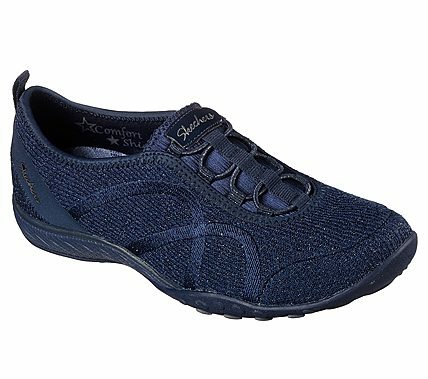 Get discovered in pretty versatile style and leading comfort with the SKECHERS Relaxed Fit®: Breathe Easy - Star Search shoe. Soft knit mesh fabric upper in a bungee laced slip on sporty casual comfort sneaker with metallic sparkle interwoven detail. Air Cooled Memory Foam insole.